In 2009, I started work at my first real job and immediately budgeted a portion of each paycheque to eating out. 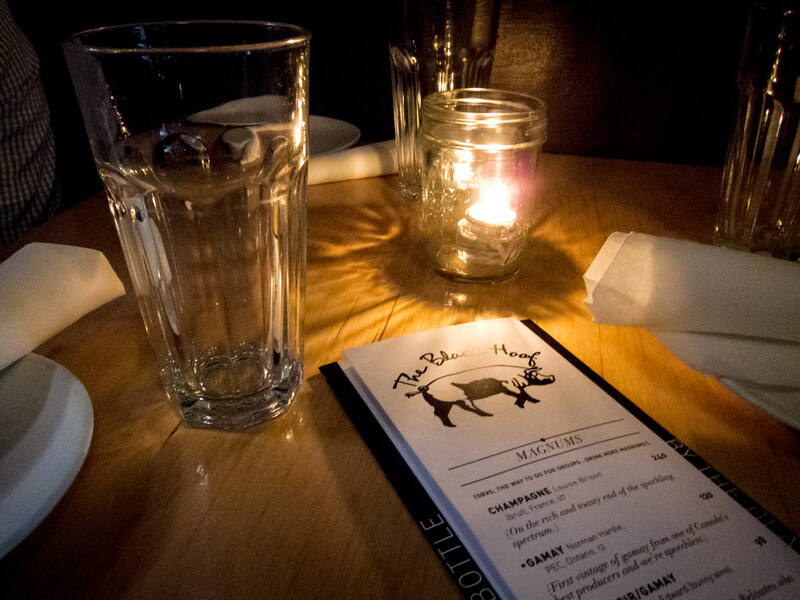 Blackhoof was one of the first Toronto restaurants that I “splurged at” back in 2010, the start of all my restaurant adventures. The fiance, just a friend then, was also there 5 years ago and while he’s eaten there since, this was my first return visit. There was still a queue outside before the restaurant opened, but much more reasonable than the hour or two wait when they first opened in 2008. Atmosphere: Before dinner, The Fiance and I were running errands in the neighbourhood and walked by Blackhoof around 5:15pm, there were already already a few diners lingering outside. Luckily, when we came back at 5:45pm, there were only 3 parties ahead of us. By the time the doors opened at 6pm, there were 4 more couples behind us. The restaurant was relaxed with a mix of diners from older couples to 20 somethings with big groups. Tables were cozy, and it was a tight fit to walk by. 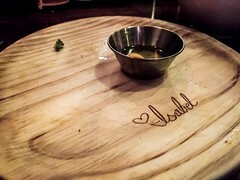 The food menu was hand-written on a large chalkboard at the back of the restaurant and beer and cocktails were listed on another by the bar. 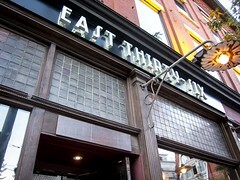 My trio was seated in a corner table that was private and great for conversation. I always prefer the background noise at a restaurant to be from conversation rather than loud music. Service: Once we sat down, a server was by quick to get our drink order and fill water glasses. After rambling off the dishes we wanted to try, he recommended we add bread and pickles as they don’t come with the charcuterie board. Each dish arrived quickly and the charcuterie board was accompanied with a detailed explanation of each meat (which I promptly forgot). Food: Between the three of us, we ordered 5 dishes (plus bread and pickles). Our friend was very concerned we were ordering too much food, but the tapas-style portions were just right, especially as we ordered the Horse Tartare and I had a feeling I’d be eating the lion’s share. 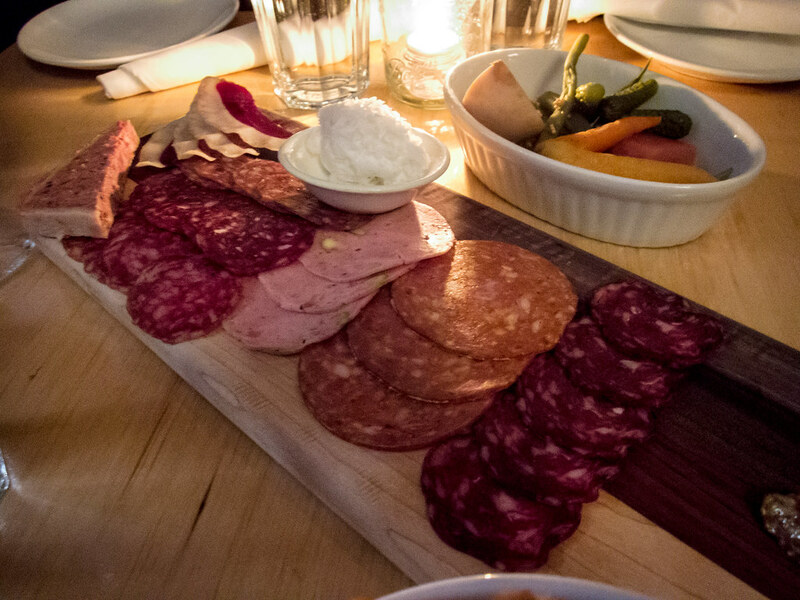 We started with a Charcuterie board that came with 8 types of cured meat, a intense grainy mustard and a salted butter. The variety of the board was great with savoury pieces, milder ones, one with walnut, a spicy one, a pate, and a delicious duck breast. 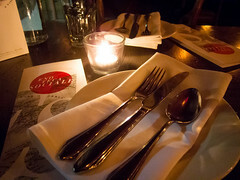 My favourite was the strong, spicy salami and the bacon wrapped pate while The Fiance loved the duck breast and butter. The side of bread provided a nice base for the meat. While I enjoyed the pickled vegetables and liked the variety of ingredients used (including beans, carrots, beet), I didn’t need the palate cleanser in between bites. 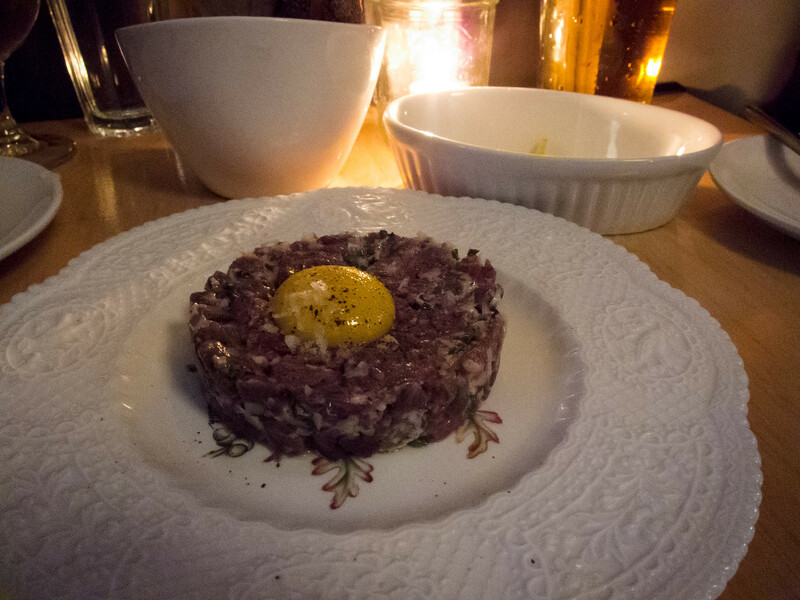 Next up was the Horse Tartare with a raw yolk and lots of horse radish. I quite enjoyed the dish. 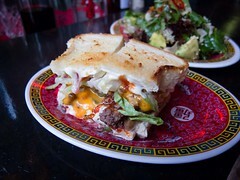 There was lots of meaty flavour and I liked the coarse chop. The Fiance doesn’t like steak tartare unless it’s heavily spiced and the horse variant at Blackhoof had a lot of natural flavour. Our friend tried it but she’s not a huge fan of raw protein. This all just meant more deliciousness for me. I found the meat flavour milder than steak tartare and the texture was slightly more chewy. 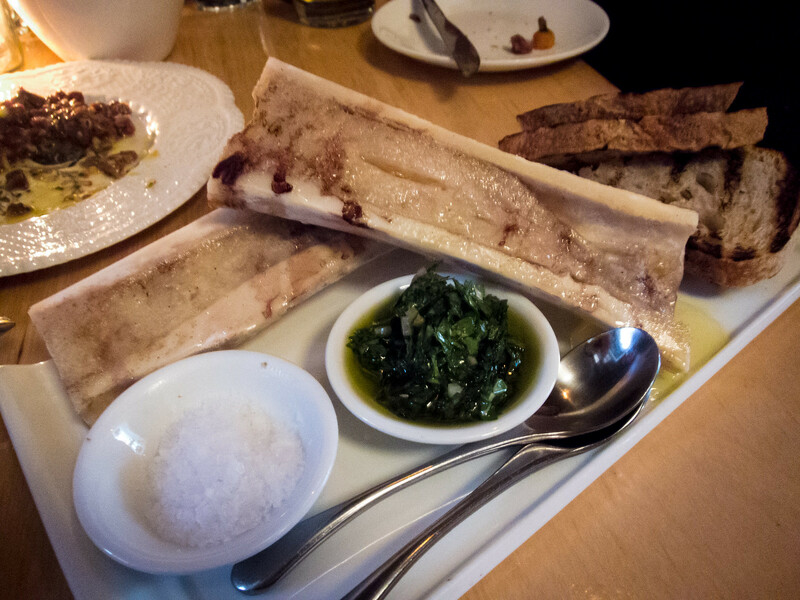 The Roasted Bone Marrow, served with sea salt and chimichurri sauce, was on point. I described this to my friend like meat flavoured jell-o, but the fatty, creamy spread was more like concentrated meat butter. The surprise star of the night was our next dish, the Pig’s Ear Slaw. Cold pig ear salad is one of my favourite Chinese dishes so the ingredient wasn’t foreign to me, I was not expecting the creamy sesame dressing and crispy shallots topping. 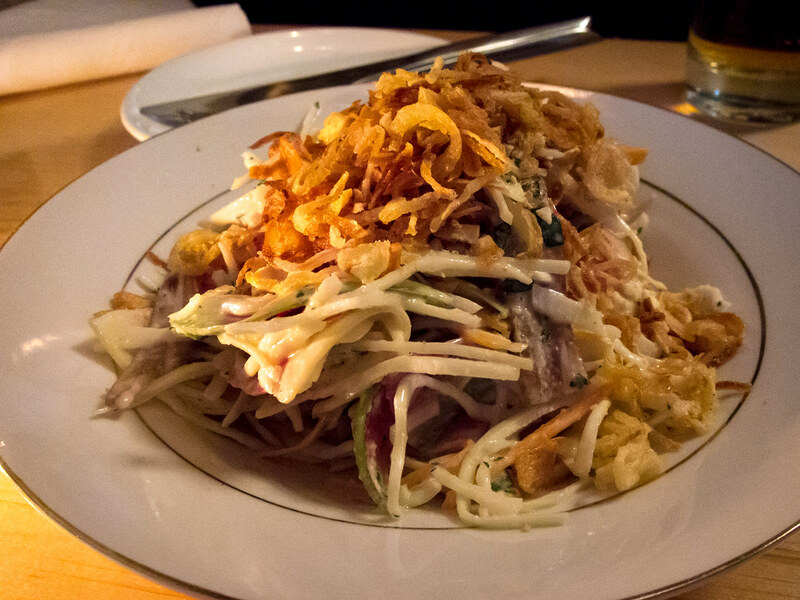 The slaw was crunchy, generously dressed and a great Asian fusion flavours. I would’ve loved a few more slices of crunchy pig ear. Dinner ended with Pork Jowl and Clams. 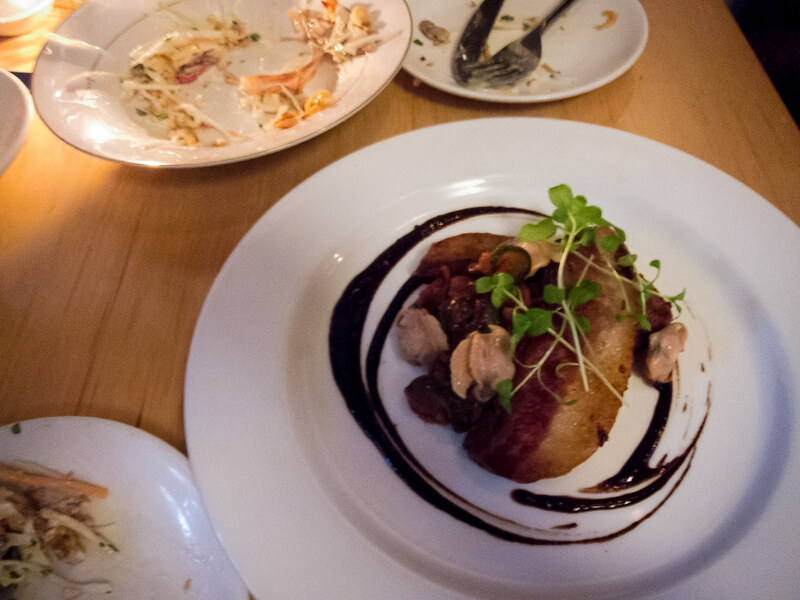 The fatty slab of pork jowl was fried to a crispy and reminiscent of thick cut bacon, aka amazing. The clams added an umami flavour to the dish and the black garlic reduction gave each bite an earthy kick. 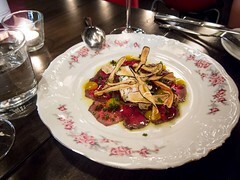 Blackhoof is still one of my favourite restaurants in the city and it’s easy to see the rest of Toronto agrees.